Higher levels of repetitive negative thinking (RNT; a perseverative and abstract focus on negative aspects of one’s experience) are associated with reduced sleep duration. This information is already informing theory and clinical practice. However, we are not aware of any studies examining the relation between RNT and the timing of sleep. We examined both disorder specific measures of RNT and a transdiagnostic measure of the RNT process in relation to sleep duration and timing in a sample of 100 unselected undergraduates. Replicating prior findings, shorter sleep duration was cross-sectionally associated with more rumination and delayed sleep timing was associated with more obsessive–compulsive symptoms. Further, extending this prior work, the transdiagnostic measure of RNT was associated with shorter sleep duration and delayed sleep timing. Individuals who endorsed a preference for later sleep and activity times also reported more RNT. 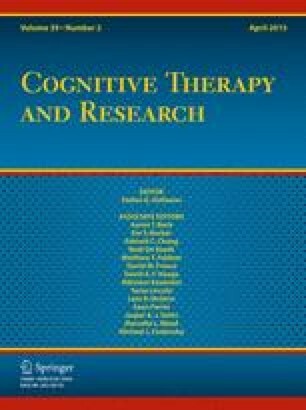 These findings suggest that RNT may be uniquely related to both sleep duration and timing. Jacob A. Nota and Meredith E. Coles declares that they have no conflict of interest.